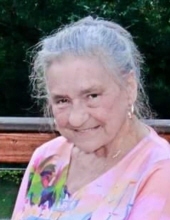 Kathy Lou Long, 68, of Pensacola, passed away on Thursday, January 31, 2019. Kathy was born on December 30, 1951, to the late Dave Bradford and Mildred Jo Bradford (Warren). She is preceded in death by her loving husband, Clifford E. Long; her parents; her sister, Brenda Steel; and her brother, Larry Bradford. Kathy is survived by her daughter, Christy Johnson (Troy); her son, Clifford E. Long Jr. (Laura); her loving sister JoEllen Bowen; grandchildren, Jeffrey Johnson (Skyler); Travis Johnson; Rebecca Long and David Long. Pallbearers will be Anthony Chamblee, Stan Bowers, Jeffrey Johnson, Travis Johnson, David Long and Tim Rhodes. Funeral Services will be held at 12:30p.m., Wednesday, February 6, 2019, at Faith Chapel South, with Brother Robbie McLaney officiating. Burial will follow services at Barrancas National Cemetery. Visitation will be held at 11:30a.m.-12:30p.m. prior to the services. To send flowers or a remembrance gift to the family of Kathy Lou Long, please visit our Tribute Store. "Email Address" would like to share the life celebration of Kathy Lou Long. Click on the "link" to go to share a favorite memory or leave a condolence message for the family.